Like I’ve mentioned before, Planets³ (once again pronounced planetscube) is looking pretty awesome. They’ve got a Kickstarter going and as of this edit, they are almost 1/5 of the way to their goal with 25 days left. That’s a pretty good start to a Kickstarter. It’s not the fastest, but it’s nothing to shake a stick at. You can check out the synopsis of the game on their site, or check out the links above. You’ve got your options. This article is focused on some of the topics that I was still left wondering at the end of reading the info on their main page and the Kickstarter page. There’s a lot of info to be sure, but I wasn’t satisfied so I sought out for answers. I got them from CEO Michel Thomazeau of Cubical Drift. The Videogame Backlog: What really inspired you guys to create Planets³? Michel Thomazeau – NeoM (CEO / Co Founder of Cubical Drift): We think that we are only at the beginning of the “voxel” games wave. This block offers so many opportunities in terms of gameplay and arts! At first we wondered how we can create a coherent world (not infinitely flat) with voxel, then come Planets³. 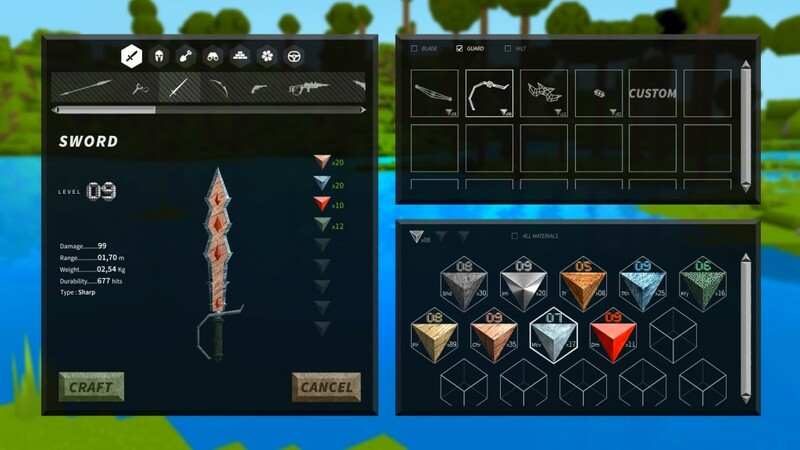 The game is inspired by what we like in video game[s] : RPG, adventure, donjons [or dungeons], craft and voxel (if we need to talk about games, it will be Skyrim, Zelda, Mass Effect and Minecraft). It’s obvious, if Minecraft did not exist, I don’t think we will have the idea of making Planets³. TVGBL: It’s all mostly concepts at this point I assume, but what aspects are you most excited to implement and try out? 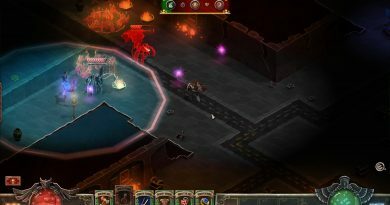 Michel Thomazeau: At this point, a lot of the game need to be implemented, as we said we have only made 10% of the work. Concept are here to show what we want to reach. The most exiting aspect of the game will be to display a maximum of blocks! The more blocks you see on the screen, the more beautiful the game is. We have already made big progress on this side as you can see on the prototype video, but a lot of optimization remain to be done. 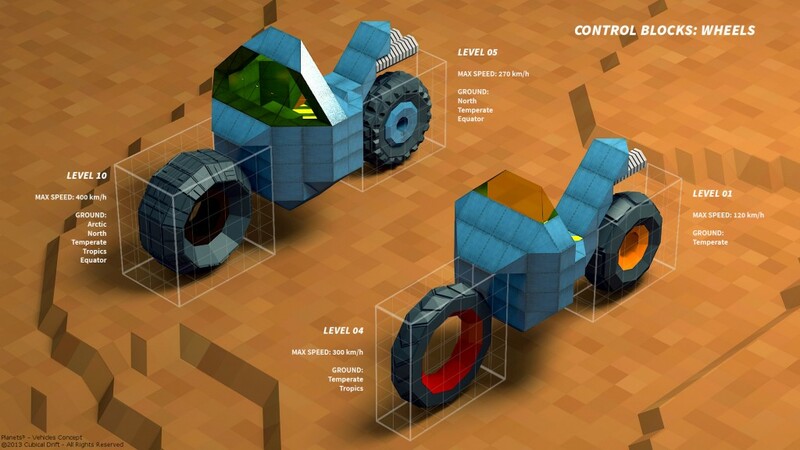 Another challenge will be to handle our vehicle system physics, I can’t wait to start the development of this side of the game. 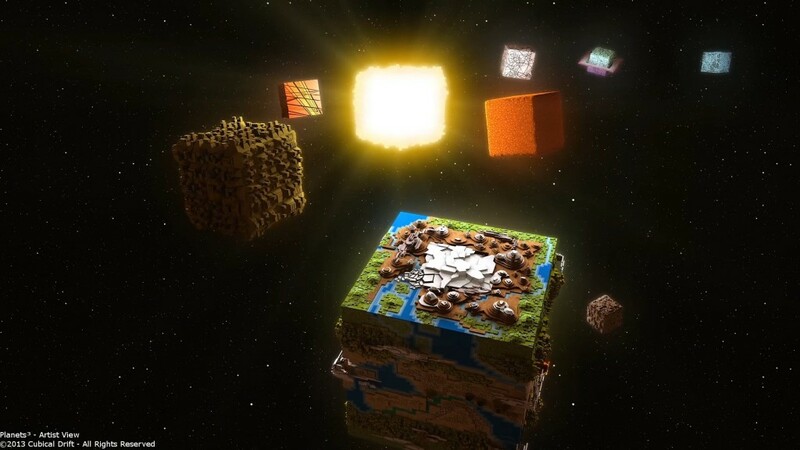 TVGBL: What makes Planets³ different from games like Minecraft or Cube World? Michel Thomazeau: First its art, the multiple block shapes allow real diversity of creation. As you can see in the concept art, it is really something else. Second, our game is a RPG, you will have a complete story from the start of the game to the end of the story. There will be NPCs, with their own stories, that will follow you during all your adventure, helping you to progress. There will be a simple but deep craft system. Construction will even take part in the story. And third : space! Michel Thomazeau: We want to make a game that bring[s] freedom. If you want to play a “warrior” the morning, and a “sniper” the evening, you can. There is no limitation. In fact there is no “class” in Planets³, the “class” is defined by the gear you wear. With appropriate and advanced gear, stealth will be so efficient that you could stab a boss from behind yes. Stealth doesn’t mean “poor” armor, sure in the beginning of the adventure stealth will come for light gear, but with the proper technology you could create a light but solid armor. So the boss will not kill you in 1 hit when it will turn itself after your ninja stab it! TVGBL: Are there any plans for a magic type of combat system? Michel Thomazeau: We want Planets³ to be a “tech” game. Everything is possible in Planets³ if it can be “explained” by technology. So you can not fire a “fireball” with your hand. But you could create a weapon that will fire plasma. No dragons, but there could be dinosaurs! No flying people, but jet-packs (like in Duke-Nukem)! Not everything will be realistic of course, there will be aliens and strange creatures, but it will be futuristic, not magic. 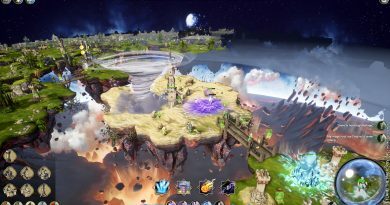 TVGBL: Will bosses respawn or is the planet so large that players don’t have to worry about that? Michel Thomazeau: It’s a good question! It was not easy to take a decision about that. For the moment bosses will not re-spawn. Like in a Zelda or Skyrim, when you complete a dungeon and come back into the dungeon, it’s almost empty. But we will listen to the community for this point, and perhaps we will make the design evolve, allowing the bosses respawn. What is certain is that “storyline quests items” will not respawn. Has anyone ever played Cubivore? These planets make me miss that game something fierce! TVGBL: Will players have access to more than one planet or do we have to wait until Space Enemies? Michel Thomazeau: There is a lot of information in the Kickstarter page, it not so easy to record all of them! Race to space will be limited to 1 solar system. The player will be able to build (or to “buy”) a spaceship to travel to others planets. There will be not so many planets (less that 10), but players will visit almost all of them for story needs. TVGBL: Could we get any tidbits on what the story may be or is that a secret? Michel Thomazeau: Secret thing. As I’m a fan of RPGs myself, I know that I don’t want to know the story before playing it. I can promise some surprises will occur and that the aliens will take part a lot in the storyline from a certain time in the adventure. The story will be global, and will take the player on almost each planet. TVGBL: Will Planets³ be released on Steam? Michel Thomazeau: Yes, no promise about the date, but yes. Building a sword is a bit more complicated than in other games…. uh wait is that a machine gun? Who brings a knife to a gun fight? Not Indiana Jones, that’s for sure. TVGBL: What are the required computer specs when the infinite view distance gets turned on? Michel Thomazeau: The infinite view distance will always be turned on. It’s a gameplay requirement, you need to see the other planets. Options will reduce how far you see the blocks at full rez and how far you see the “living” things. It’s too early to talk about specs requirement now. What I can say today : if you manage to run the recent games with your computer, you will be able to run Planets³. The devs do not have machine made for competitions, and the game is running. TVGBL: Is there anything else you’d like to say to my readers? Michel Thomazeau: We do answer messages, do not hesitate to ask any question you have. And support us on Kickstarter! 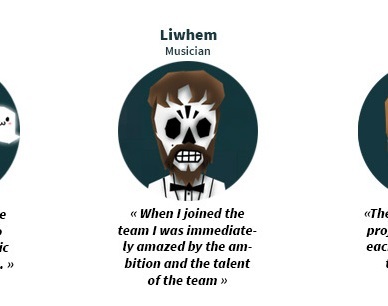 TVGBL: Based solely on the pictures on the Kickstarter, is Liwhen (the musician) an luchador? Michel Thomazeau: AHAH, he will make some demonstration after the campaign! And you will decide if he is one or not! Well, with all thanks for Michel Thomazeau for taking the time to respond (like he said he does) I wish him and his team luck! I really hope this takes off and they get their Kickstarter off the ground. I’m really looking forward to sinking my teeth into this game later this year in the alpha. I’m putting my money where my mouth is. I hope this has sparked some interest in you guys too! Thanks man. I like to keep my questions like a real person would ask (well, real enough). I don’t get that vibe from a lot of interviews that I read online sometimes.